1. Only firms that are registered with an anti-money laundering (AML) supervisory authority (including law firms and FCA authorised firms, for example) will be able to submit applications to register new UK limited partnerships (UK LPs). These firms (so-called "presenters") will need to provide evidence of their AML registration as part of the application process. demonstrating that it continues to engage the services of an agent that is registered with a UK AML supervisory body and which has agreed to provide its address as a service address for the UK LP. 3. UK LPs will be required to file an annual confirmation statement at Companies House, confirming that all details previously filed remain correct. Further, each UK LP will be required to file, both on registration and on an ongoing basis, the following additional information: (i) contact information for all its limited and general partners; (ii) the date of birth and nationality of all limited and general partners that are natural persons; and (iii) a SIC (standard industrial classification) code, identifying the nature of the LP’s business. 4. Companies House will be given power to strike off LPs that have dissolved or which Companies House concludes are not carrying on business or in operation. The exact process to achieve this is still to be designed. Today’s announcement sets out the Government’s intentions in broad strokes; the detail will come when the draft legislation is published. 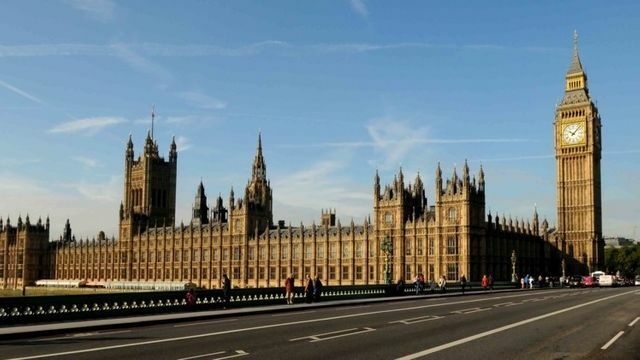 The Government says this will happen “when Parliamentary time allows” – which may well not be for a while, given the current state of play on Brexit. The detail will be key, particularly as regards the additional information filing requirements. There is no mention in today’s announcement as to whether private fund limited partnerships (known as PFLPs) will be exempted from these requirements. PFLPs were themselves only introduced last year, and one of their key selling points was a more streamlined filing regime, with less information required to be filed at Companies House. If these new requirements are extended to PFLPs, it would certainly make the UK a less attractive jurisdiction in which to establish private investment funds structured as limited partnerships: many global investors would be reluctant to have their contact details and (if natural persons) dates of birth and nationalities filed at Companies House (something which is not required in any other “fund” jurisdiction). Hopefully the draft legislation will make it clear that PFLPs will be exempted from these requirements. The remaining changes should be seen as broadly positive for the fund management industry. Although there will be some increased administrative burdens, these should be relatively minor; and there will be relief at the flexibility offered to UK LPs to satisfy the “UK link” requirement (there had been significant concern that the Government might force all UK LPs to maintain a permanent UK principal place of business), as well as the confirmation that UK LPs will not be required to prepare and publish statutory accounts. The Government's consultation on Limited Partnership: The Reform of Limited Partnership law is part of our focus on delivering a strong business environment in the UK. The limited partnership “crackdown”: more heat and light than substance?